In order for employees to prosper and be productive in a particular job, it is essential that they possess the traits that produce success and fit the culture of the company. Assessing those traits requires a system that reveals deep insight into human behavior. Most behavioral assessments fail to provide this insight because they rely on a traditional bipolar approach of measurement, which assumes an either/or relationship between traits by placing two related positive traits on either end of a scale. 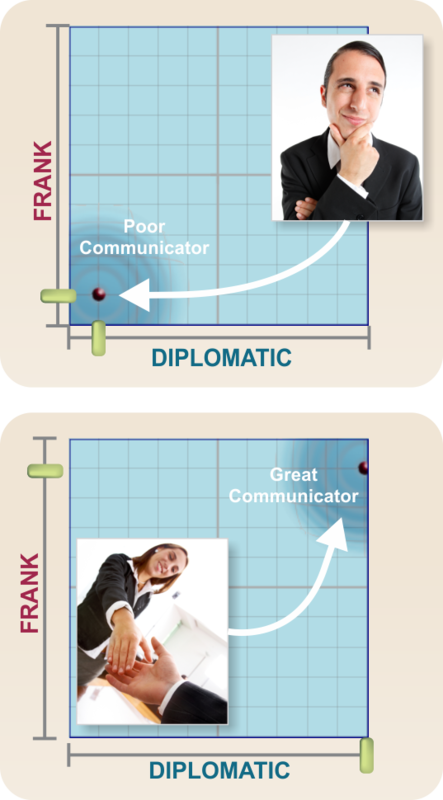 For example, Diplomatic and Frank are traits that are typically used in this manner. 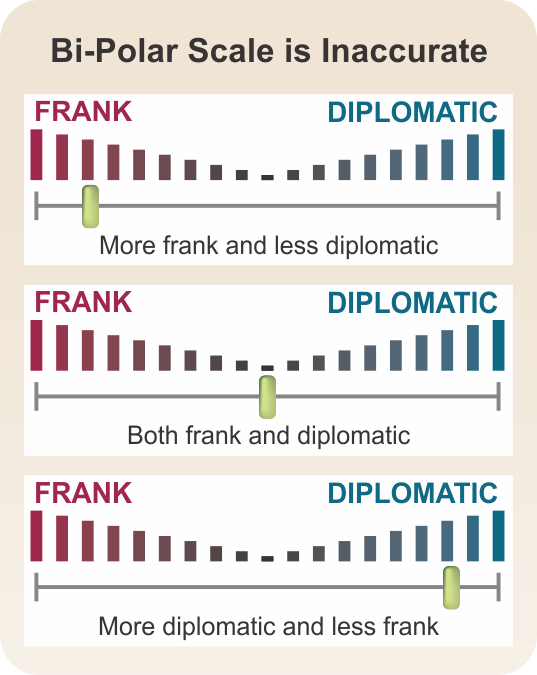 By placing Diplomatic and Frank on either end of the same scale, the bipolar approach assumes that the more Diplomatic you are, the less Frank you are and vice versa. This is not a correct assumption. 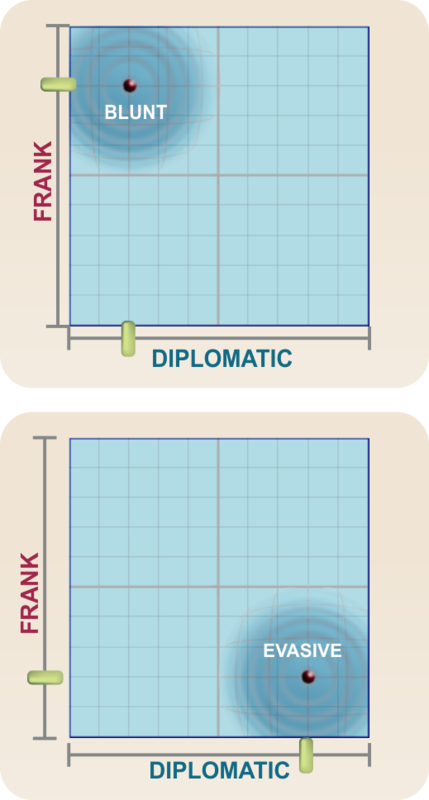 You can be both Frank and Diplomatic or neither. The bi-polar method attempts to overcome potential deception by forcing people to choose between two complementary positive traits. However, in doing so, it sacrifices the most important insight. For example, Acme Industries is hiring a Director of Communications and they require someone who is a good communicator. They have two candidates: Doug and Cheryl. 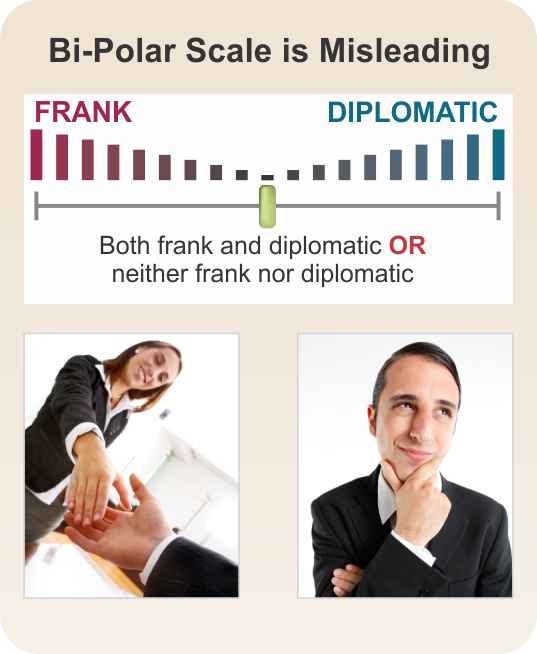 When measured on a bipolar scale, both appears to be in the middle, which incorrectly indicates that they are balanced in communication and thus they are both potentially good candidates. HA takes a different approach by measuring each of the complementary traits independently. When measured on HA's paradox scale, a clear picture emerges. When viewed on a paradox scale, it is clear that Doug lacks both Frankness and Diplomacy and is a poor communicator. On the other hand, it is clear that Cheryl is both Frank and Diplomatic and is an excellent communicator. Thus, the traditional bi-polar approach only provides a superficial and often inaccurate view of communication style and fails to identify the behavioral issues that are critical to job success. ParadoxTechnology&#8482; provides this vital information without sacrificing its ability to prevent deception. It is highly effective at identifying negative traits because it is based on the principle that each trait has the potential to be either productive or counter-productive, depending upon other balancing traits. For example, we would normally consider Frankness to be a positive trait. However, if it is not combined with Diplomacy, it actually becomes Bluntness which can be counter-productive. On the other hand, Diplomacy is also normally a positive trait, but without Frankness, it can be counter-productive, taking the form of evasiveness. This depth of information is critical for making the right hiring decisions and optimizing the performance of your existing employees. ParadoxTechnology&#8482; analyzes and determines a broad spectrum of potential counter-productive traits without the person having the slightest idea it is happening. This is vitally important since negative traits usually account for 60-75% of the factors that determine job success. Harrison Assessments' ParadoxTechnology&#8482; produces the most accurate, complete and reliable picture of a person and overcome the deficiencies of traditional bi-polar measurement. It prevents deception while at the same time provides deep insight into potential counter-productive behavior. Contact us for more information or take a look at our sample reports to see how Harrison Assessments can help you with your talent recruitment or talent development needs.